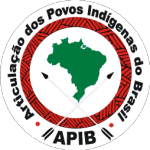 The year of 2019 already began in a scenario of backlash against Indigenous Peoples in Brazil. Since the 1st day of the year, many severe violations of human rights and social-environmental rights of Indigenous Peoples have escalated. They have targeted our lives and our lands. In this context, we will hold the 15th Free Land Camp, bringing together thousands of Indigenous leaders from all regions of Brazil, in Brasilia, to reaffirm our resistance and to articulate strategies for struggling for our rights, lives, lands, and protecting the environment. We rely on your support! Please, donate, and share the link for this campaign.